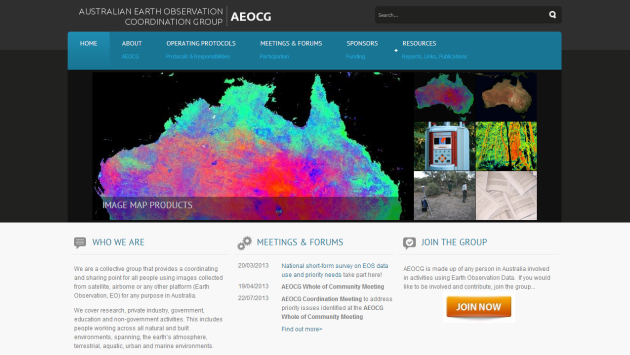 The Australian Earth Observation Coordination Group is pleased to announce the official launch of its new website, located at www.aeocg.org.au. This group has been formed to enable all of the people who collect and use earth observation data to have a forum to present and discuss their activities and define their needs for support from industry, academia and government. This group is meant to span all disciplines, and provide an inclusive and collaborative resource to improve access to and use of earth observation data for Australia. take part in a national short-form survey on EOS data use and priority needs. Click here to take the survey. Survey results will be used to inform the first AEOCG Whole of Community Meeting which will be held on 19 April 2013 by live webinar. The high level forum with theme of “21st Century Science and Technology for a Green Economy and Sustainable Development”, organized by the International Eurasian Academy of Sciences (IEAS) and United Nations Educational, Scientific and Cultural Organization (UNESCO), was held at the Beijing International Convention Center from April 6 to 7, 2012. The International Society for Digital Earth (ISDE) co-organized the Digital Earth special session. Prof. GUO Huadong, the secretory-general of ISDE, and Prof. Milan Konecny, vice president of ISDE, chaired this special session covering scientific researches of Digital Earth concept, DE technologies and applications. 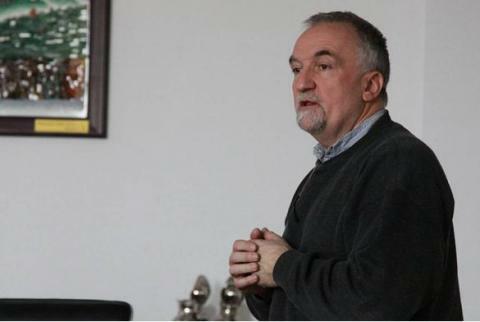 Prof. Milan Konecny gave a talk on “Digital Earth for 21 Century: Concepts, Challenges and Applications”. 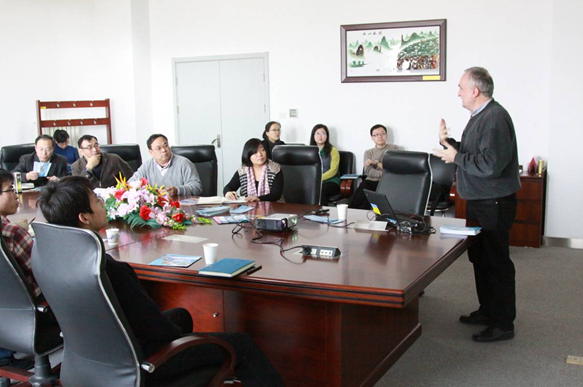 Prof. LIN Hui, from the Chinese University of Hong Kong, explained “Spatial Integrated Approach and the study of Humanities and Social Science”. Prof. ZHOU Chenghu, from Chinese Academy of Sciences, gave his talk on “Window of Global Spatial Information towards the Study of Globalization”. Prof. ZHONG Ershun, Chair of the Supermap Ltd, showed “latest progress of GIS technology and its application in Digital Cities” in the presentation. Prof. Temenoujka bandrova made her speech on “3D-mapping for Digital Earth Applications”. The Digital Earth Special session gathered some of the key IEAS Academicians who are working on GIS, Remote Sensing and Digital Earth. They illustrated many of new scientific discoveries and Digital Earth applications. The Digital Earth concept and vision is now widely adopted by scientists from IEAS, but also in the worldwide. It generates great of evidences that the Digital Earth will play pivotal role in global environment change, digital city and green economic etc. As the advocator and promoter of Digital Earth, the ISDE is willing to co-operate with other international organizations to benefit economic and social development through diverse of Digital Earth technologies. This High Level Academic Forum of the IEAS held academic discussions on three special domains, including tacking global climate change, urban development and advancing in Digital Earth. An initiative with objectives of “innovation, cooperation, Development and mutual benefits” was adopted by the participants in the closing ceremony. It is pointed that the objectives could be successfully achieved when an efficient and effective framework of global partnership in sciences is established and implemented.